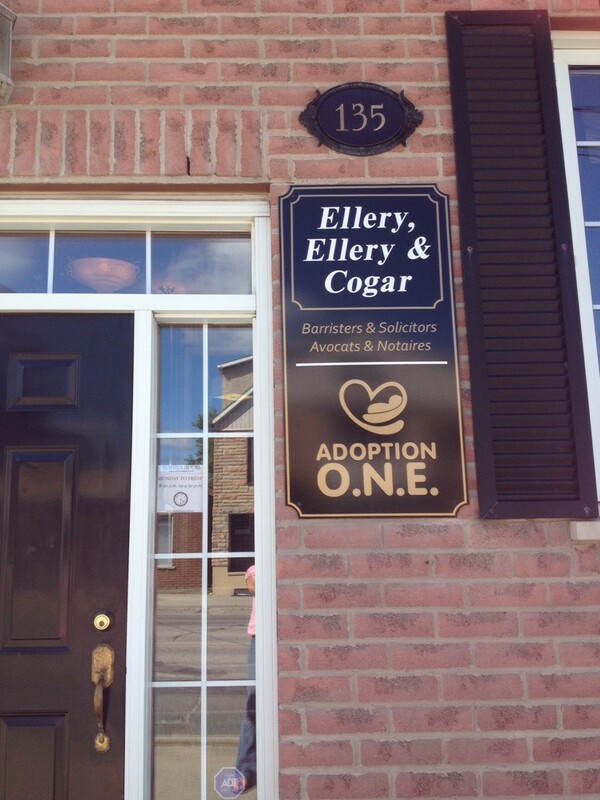 A very exciting week for ADOPTION O.N.E. We are only in our early stages, and already the events multiply. This week counted several exciting visibility moments. After a long weekend, we are presented in the local newspaper for our participation to the weekly Downtown Timmins Urban Park. 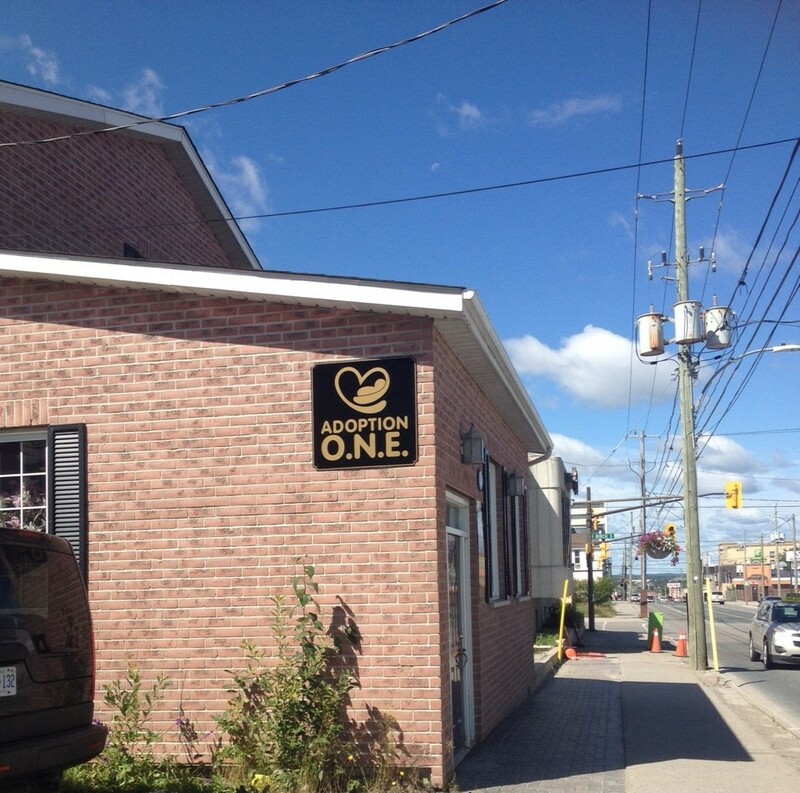 That same day, our signs* were installed at 135 Algonguin Blvd East in Timmins. Keep an eye open as you pass by!! 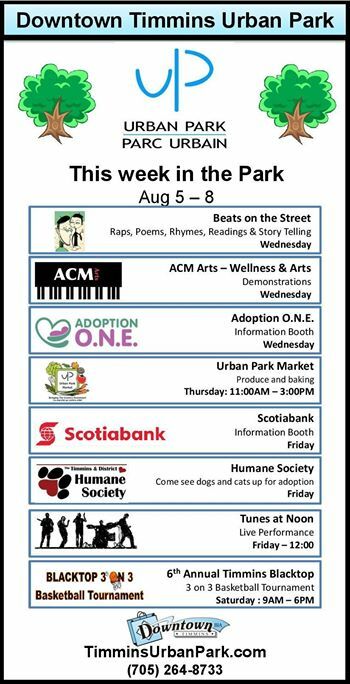 And on Friday we were at the Downtown Timmins Urban Park. The sun and the summer heat were on par! Join us again Wednesday August 12th, we always appreciate a little chat! That mold into one, yours. The second taught you how to live. The second was there to fulfill your need. The other offered you a name. The second gave you a purpose. The other one calmed your fears. The other one dried your tears. It is all she could do for you. And God led her to you. Of who am I the fruit? Simply of two different forms different of LOVE.